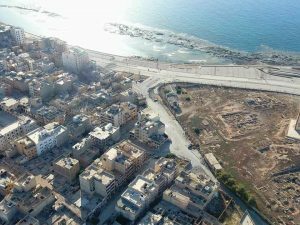 In a rapid advance today Libyan National Army (LNA) forces overran militant positions in Benghazi’s Sabri district, taking Gumhuriya Hospital and the unfinished Hyatt Regency hotel. 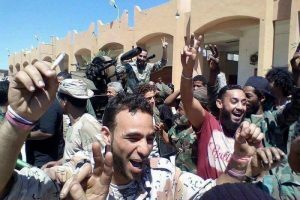 This evening as most soldiers celebrated victory, some troops were surrounding buildings in the Sidi Akhribesh area where the last gunmen were holding out. The final battle has seen five more LNA deaths, including Colonel Saleh Al-Rishi. Four militants, one of them wounded, were captured. Troops are also reported to have discovered a large number of militant dead inside a house which they believed had been used as a “cemetery” . The bodies are being transferred to the mortuary at the Benghazi Medical Centre. Overnight the LNA had brought up more men and armoured vehicles for the final assault. It appears to have been overwhelming. In the course of the advance, troops overran the militants’ weapons and ammunition store. Though there were still mines and booby traps to contend with, it seems that in their swift retreat the militants had less time to set them up. The final action to overwhelm the remaining militants in Sidi Akribesh is unlikely to be a repeat of last year’s six week stand-off at the 12 Apartments building in Ganfouda. There the problem was that the militants had a wide field of fire and were well stocked with weaponry, including RPGs. The last redoubt they are holding today is in a closely-built urban area. Armed forces commander in chief Khalifa Hafter is expected to make a victory broadcast this evening. Meanwhile in Salmani today, a three-year-old girl was killed when a shell struck her home. It is not known from where it was fired.